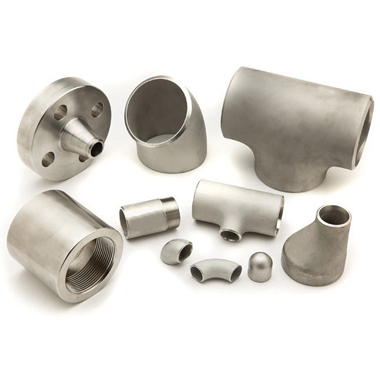 Aspirinox Alloys Inc is one of the leading manufacturer exporter and supplier of Duplex 2205/UNS S31803 Buttweld Fittings available in different shapes, sizes and thickness according to their different applications. The Duplex 2205 Buttweld Fittings are widely used duplex stainless steel grade material around the globe and is characterized by high yield strength nearly double that of standard austenitic stainless steel grades. Also, offered UNS S31803 Buttweld Pipe Fittings by us exhibit an excellent fatigue strength as well as an outstanding resistive property to stress corrosion and cracking. Due to its high chromium, molybdenum, and nitrogen content, it shows superior corrosion resistance properties. They also provide high resistance to pitting an crevice corrosion even in oxidizing and acidic solutions. The Duplex 2205 Buttweld Pipe Fittings are resistant to chloride stress corrosion cracking in temperature about 150 degree Celsius. Due to the presence of ferrite in Duplex UNS S31803 Fittings, they show good performance in caustic environments and provide good weldability. Duplex 2205 is a two-phase ferritic, austenitic stainless steel with near about 22% Cr, 3% Molybdenum and (5 to 6) % Nickel. The duplex steel buttweld fittings also come in the various forms such as 45 degree, 90 degree long and short radius elbow, equal and unequal tee, concentric and eccentric reducers, end pipe cap, stub end and many more. Their physical dimension depends on the different types of pipe fittings applications which require different shapes and sizes. They are widely accepted in oil and gas pipeline machinery, plumbing purposes, chemical industries, food processing industries, fabrication industries, pulp and paper industries, water supply systems, power plants and many more. Call us today to request a free quote! Specifications for Duplex 2205/UNS S31803 Buttweld Pipe Fittings. If any specification is not mentioned here, please use the contact button for a quick quote. Request the latest Duplex 2205/UNS S31803 Buttweld Pipe Fittings List. Please click on the request a quote button or click here to request the updated price list and ready stock information along with your requirement. Aspirinox Alloys INC maintains a stock of all standard items and can export them at best price for Duplex 2205/UNS S31803 Buttweld Pipe Fittings.